Introducing the Black+Blum Lunch Pot. 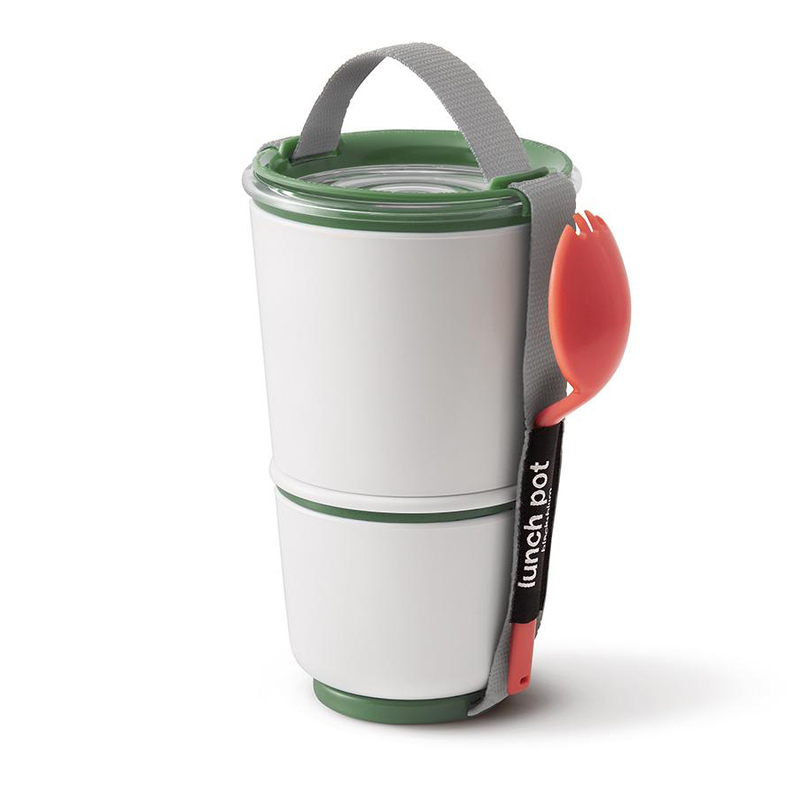 It’s the ingenious, lightweight lunch container that really has thought of everything. Featuring two separate sections which screw together, they each have a watertight seal to keep your lunch in pristine condition and stop bits from leaking out and going walkabout! Perfect for carrying to work or school, the two compartments make this a neat, easy, convenient way to transport foods which don’t mix together (at least not until you’re just about to eat it, like cereal!) Now you can keep liquids separate from solids, or lunch separate from snacks, or dessert! Made from food-safe, dishwasher safe materials in a funky, vibrant design, it even has a carry strap for easy transportation, and a handy spork which fits nicely into a pocket in the strap! Then when you’re done eating, one container fits into the other, making it more compact for the trip home. Crafted from polypropylene and Tritan. Features two watertight containers which screw together for easy transportation. Comes with a handy spork.